High weight capacity that fit the smallest spaces. 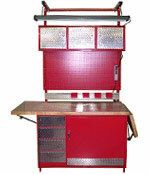 Maximize your floor space with our 3,000 lb capacity shop/machine stands. 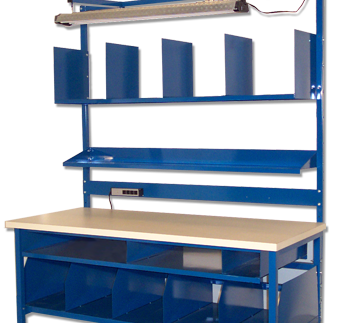 With over 700 standard configurations to select from, we have a space-saving solution for you. Raise your efficiency while lowering cost. Maximize the output of your packaging operations. Using our basic workbench as the foundation, add one or all of our component parts to create the workspace you need. Order, Receive, & Use. It's as easy as 1 – 2 – 3! Our units arrive at your dock assembled and ready for use. 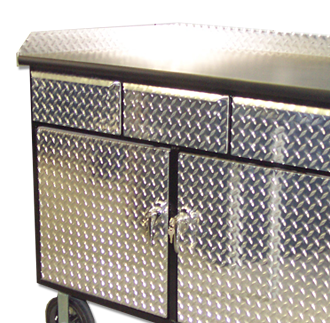 Available in four standard styles, all with optional overhead accessories, to meet your storage or task requirements. Designed for durability with your needs in mind. We build the workbench that's right for you. Whether you need fixed height or adjustable, stationary or mobile, small or large, our product line is second to none. A variety of products for your industrial facility. 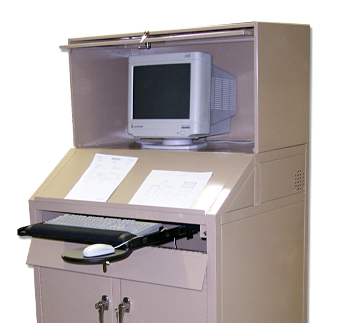 From Computer Workstations to wire Reel Racks, Industrial Carts to Tech Benches, we build all the items that help keep America's workplaces operating. We use only the highest quality materials to manufacture every top. From the industry standard 45 lb. cores to rock-hard maple solid wood, we make our bench tops as tough as you need them. Show support for the home team! 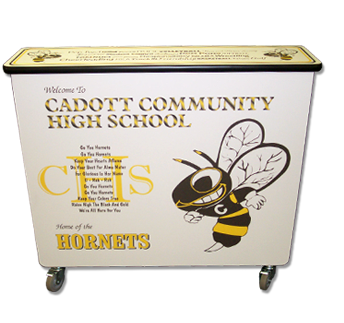 Great in cafeterias, gymnasiums, and auditoriums, we can make a custom podium or desk featuring your school's logo, crest, mascot, or sports team. brand or attract sports fans. Working on your feet all day at a workbench can be uncomfortable, inefficient, and exhausting. But it doesn't have to be. 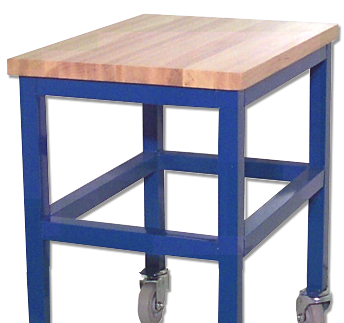 Enjoy your work again with the help of user-friendly, long-lasting industrial workbenches and workstations. 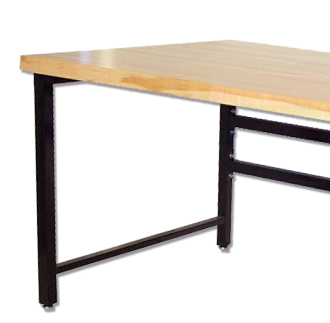 Naturally, you want the most bang for buck, and that includes buying a durable, long-lasting, pre-assembled workbench or packing bench. That's why many of our industrial workspace furniture units are welded together at our facility and shipped to you ready to use, saving you valuable set-up time. ensuring it works perfectly for your needs and space.